Assignment: Create an integrated marketing campaign on a company of your choice. Design a unified customer experience across media channels. The purpose of this campaign is to emphasize the growth of trees with every hat purchase by informing the audience of its impact on our planet. 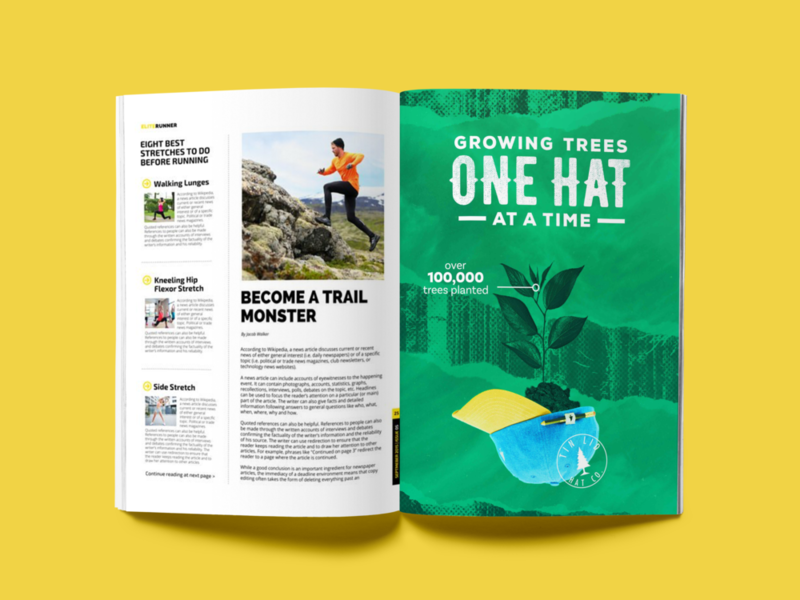 Print & Out of home ads will illustrate various hats and inform audiences about relevant local tree facts. 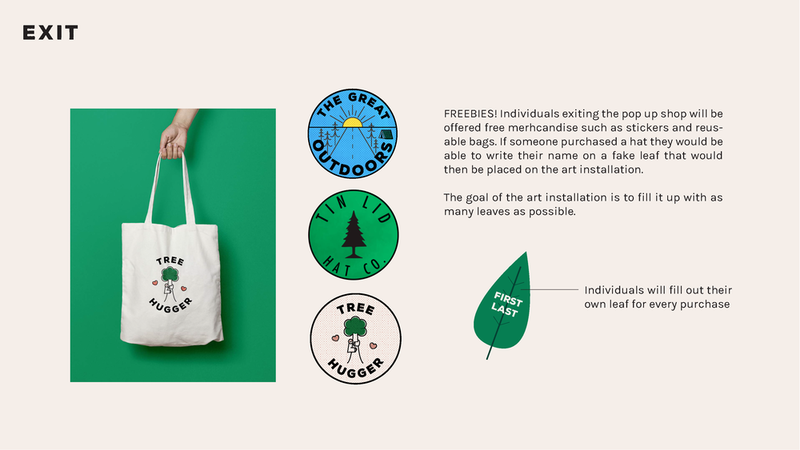 A branding experience will consist of a pop up shop that will leave an art installation behind to symbolize the contribution of rebuilding forests for a better future for our planet.